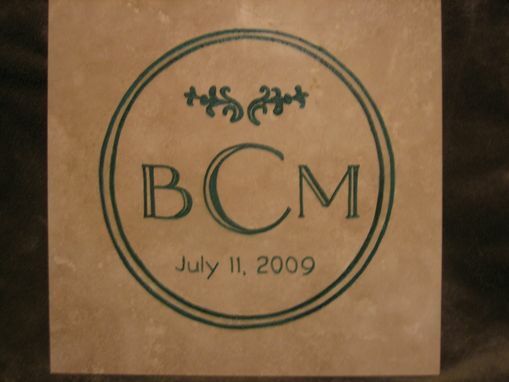 Various designs are available or can be created specific to couple's religion, family crest, ethnic symbol, etc. 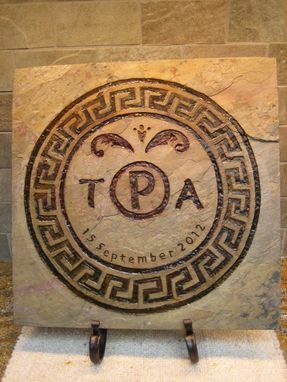 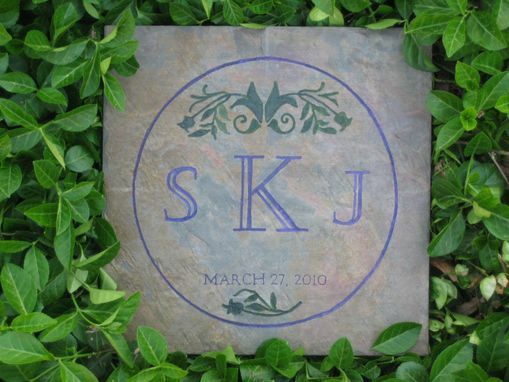 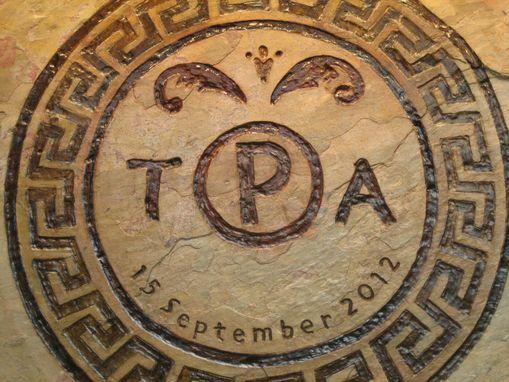 Examples shown include greek key, simple garden motif, formal initials on marble and fish design. 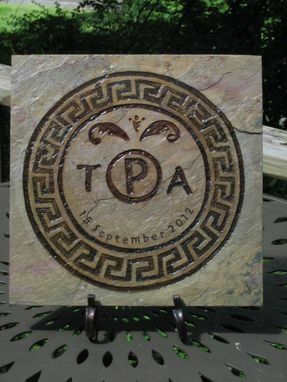 Special description and personal message is included on the back of the stone.